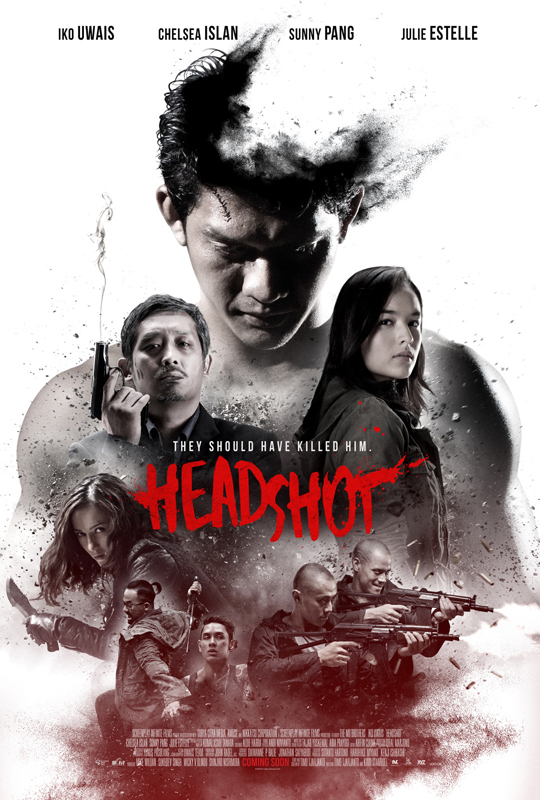 Fans of The Raid films (and perhaps the Bourne franchise) will not be disappointed by ‘Headshot’, the latest film directed by “the Mo Brothers” Timo Tjahjanto and Kimo Stamboel. Choreographed and starring the Raid/Raid 2’s Iko Uwais, Headshot shares the same action tropes as those films; but with a degree of pitch-black humour in the way any objects to hand, (including a desk in one memorable scene), become weaponised in the increasingly desperate fight sequences. Uwais plays a man washed ashore with no memory and is nursed back to health by student doctor Ailin (Chelsea Islan), who names him “Ishmael”. As his memory returns, he begins to piece together his past as a henchman for drug-lord Lee (a borderline satanic Sunny Pang). When Lee kidnaps Ailin, Ishmael must take on Lee’s henchmen, each with a certain skillset, showcasing Uwais’s ability to dish out various flavours of ultraviolence. The plot is as you’d expect with this genre of film, largely secondary; but married with some distinctive set design, state-of-the-art fight sequences and quality dramatic performances from the supporting cast, this is as good a contemporary actioner as you’ll find.